Issue 10 of the CemWeek Magazine packs a punch as the CW Group dives into some ‘combustible’ issues. CW Group Managing Director and Head of Research, Robert Madeira, discusses the all-important topic of fuel for the cement sector and its relation to a corporate energy strategy. The Group also highlights the latest results from the twice-yearly Global Cement Volume Forecast Report, a global review of cement prices, and UK energy prices. 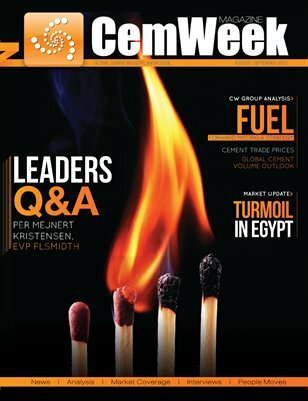 The issue also features a discussion with Per Mejnert Kristensen, EVP, FLSmidth, around his company’s strategy and opportunities in the cement sector. The Regional coverage includes a snapshot of the cement sector in Egypt.